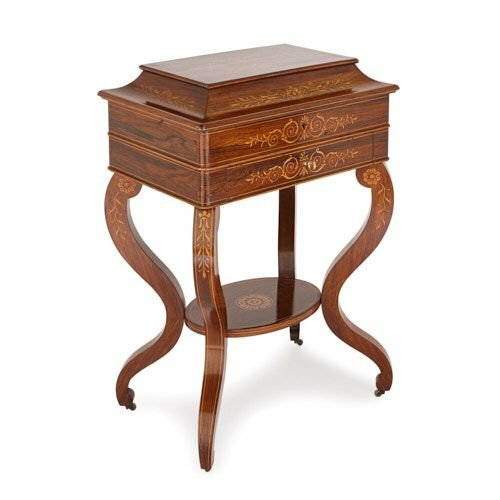 This elegant rosewood marquetry cabinet was crafted in France during the reign of Charles X, at the end of the Bourbon Restoration period. The cabinet stands on four cabriole legs, which are set on castors. 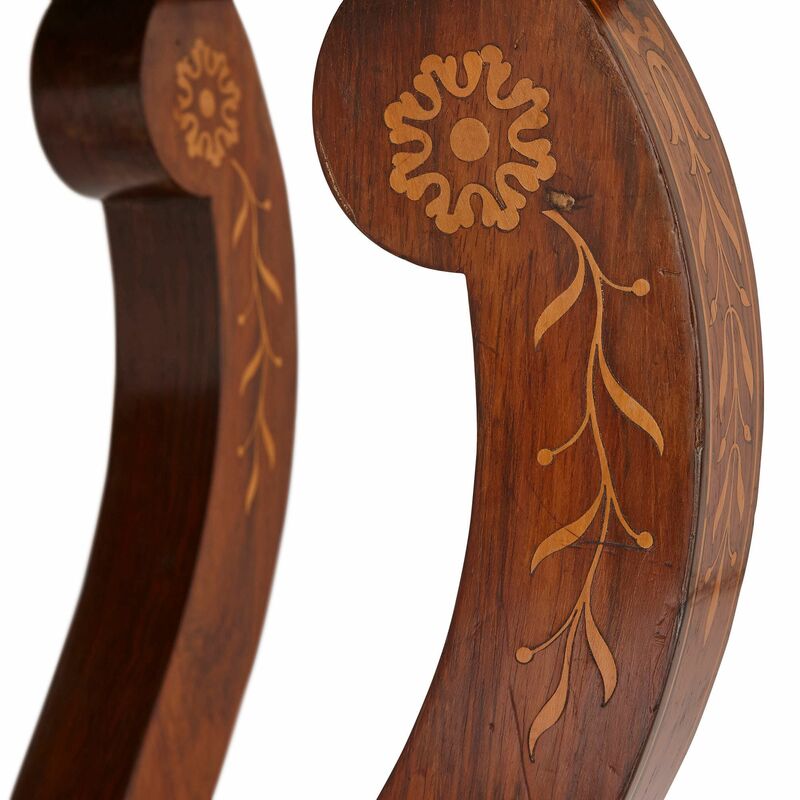 The legs dramatically bow inwards midway, to support an oval-shaped lower shelf between them with a light-coloured marquetry floral medallion motif at its centre. The legs then curve back outwards and terminate in scrolled tops, which feature light marquetry flower motifs. Supported on the four legs is the cabinet top. This is divided in two lengthways, to form two separate storage spaces. 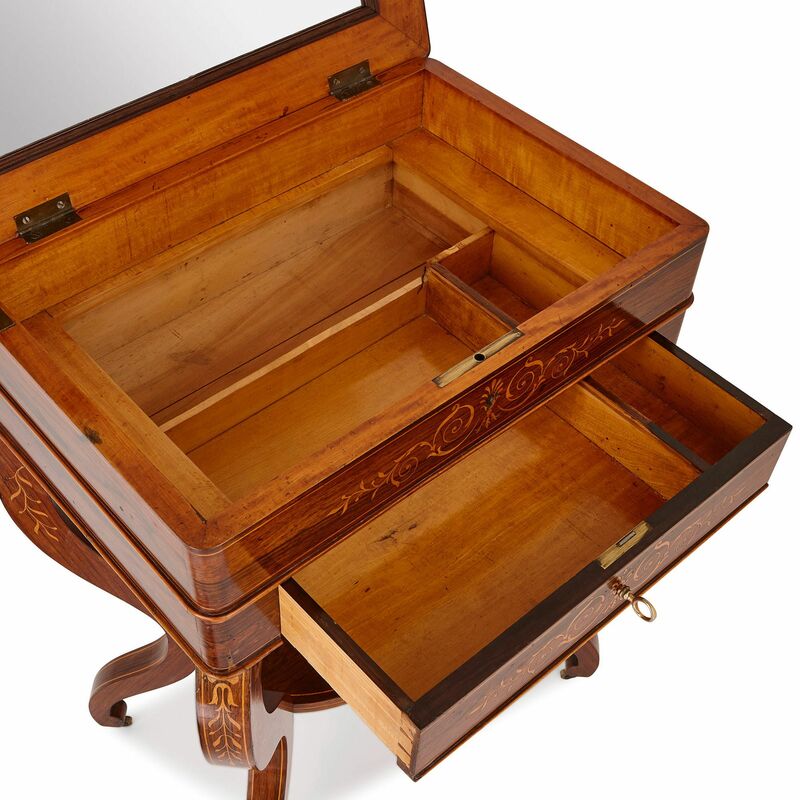 The lower compartment takes the form of a drawer, which is split into two — with a wide left-hand side, and narrow right — and is lockable with a key. The top space is divided into five compartments, and is accessed by lifting up the hinged top of the cabinet, the underside of which is fitted with a mirror. 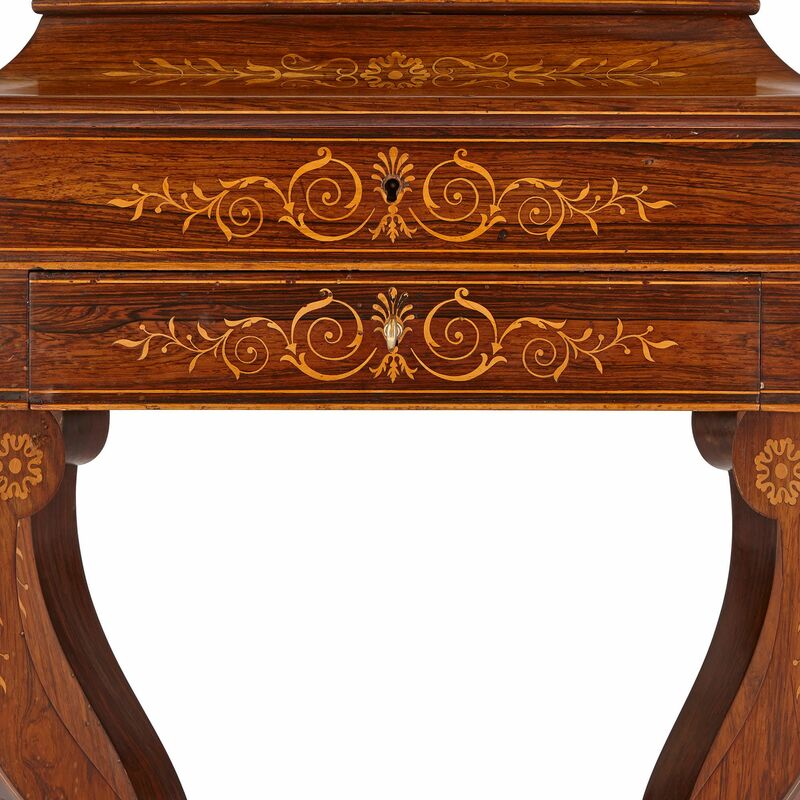 Two light-coloured marquetry patterns, with scrolling edges and palmette centres, decorate the front of the cabinet. Above, the cabinet lid steps upwards and inwards, with scalloped edges, to support a flat, rectangular top. 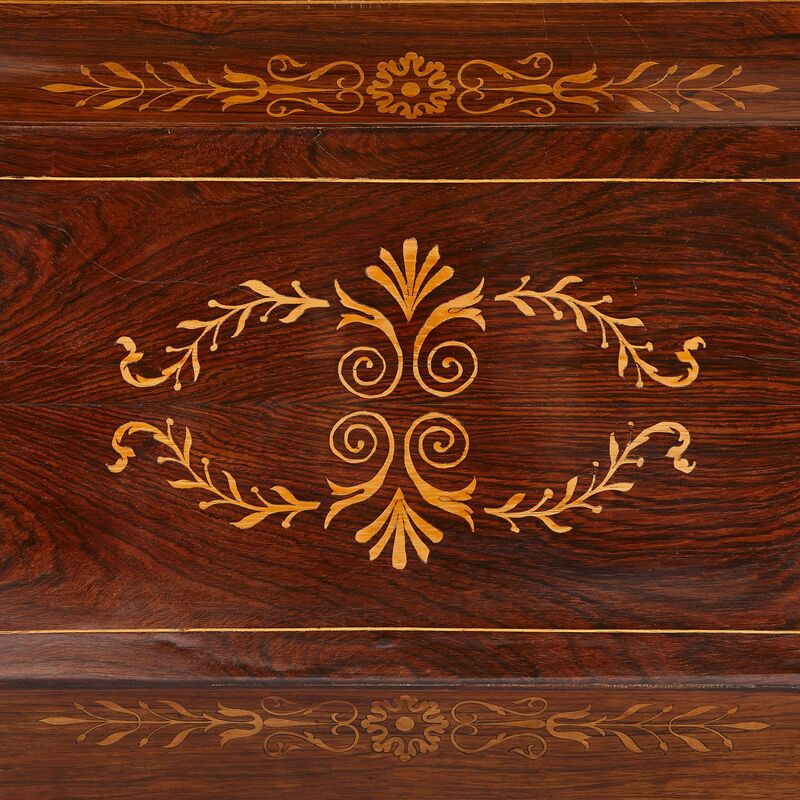 The bevelled sides and top are ornamented with light marquetry foliage designs, the former including central rosettes, and latter mirrored palmettes. 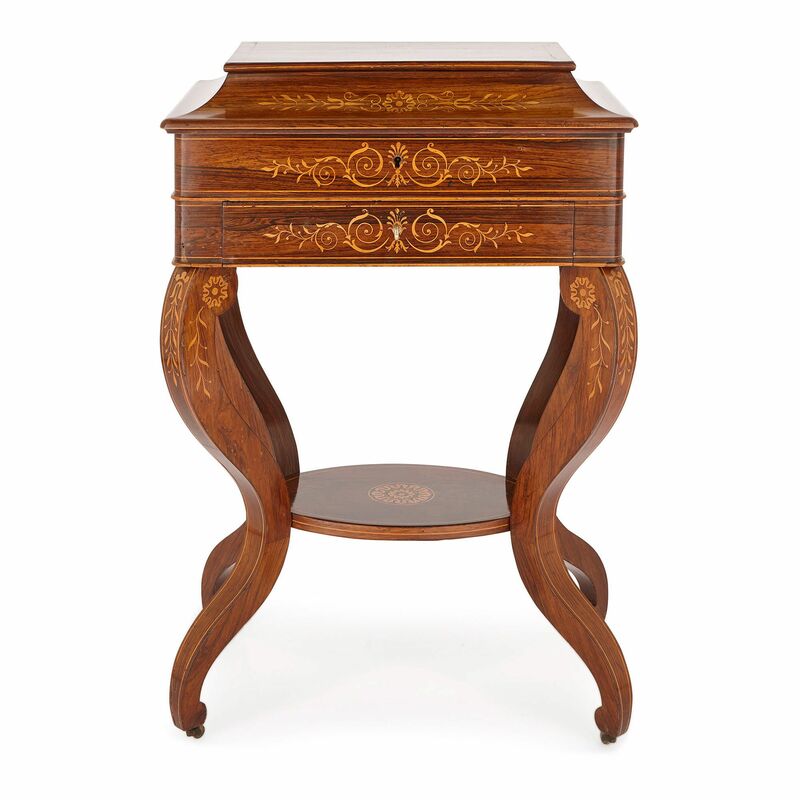 Charles X style furniture is often Neoclassical in style, and composed of elegant, curving forms. 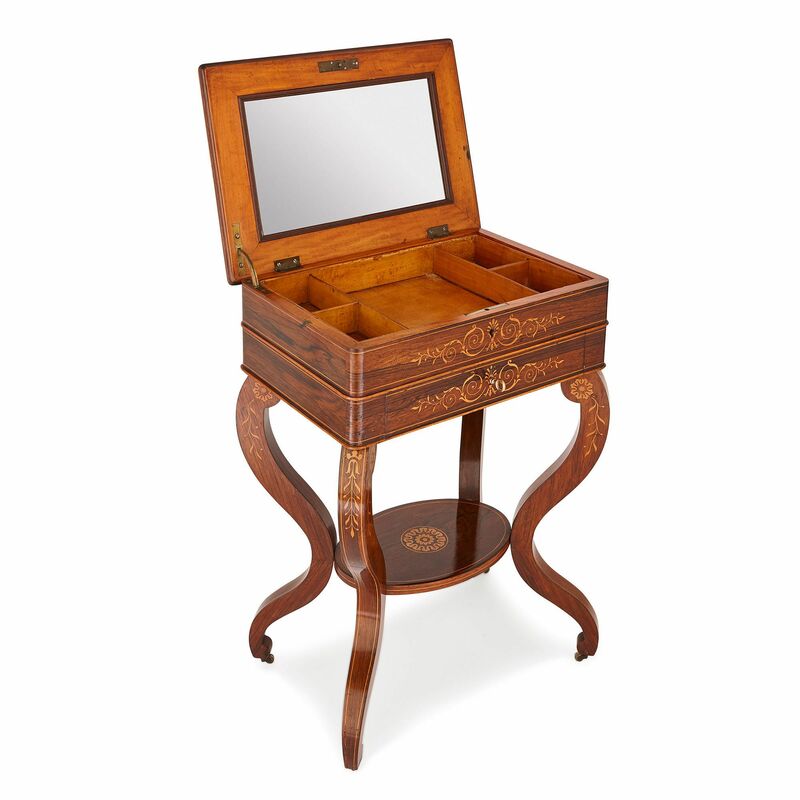 It is also characterised by its use of marquetry inlay, which is typically floral in character.